Before you begin setting up your email account in Mozilla Thunderbird, it’s important to remember your email, the password you provided when you created your email inside Plesk, as well as the Incoming and Outgoing Mail Server information. 2. 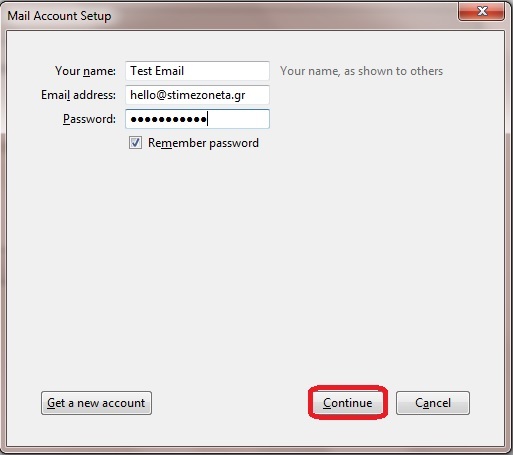 On the dialogue box that opens you will fill it up with your information: Name, Email, Password and then, click on Continue". 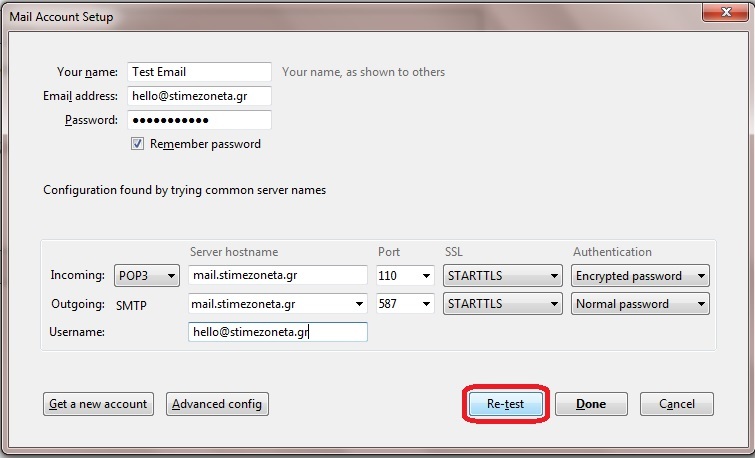 The password is the one you chose when you created your email account in Plesk. 3. 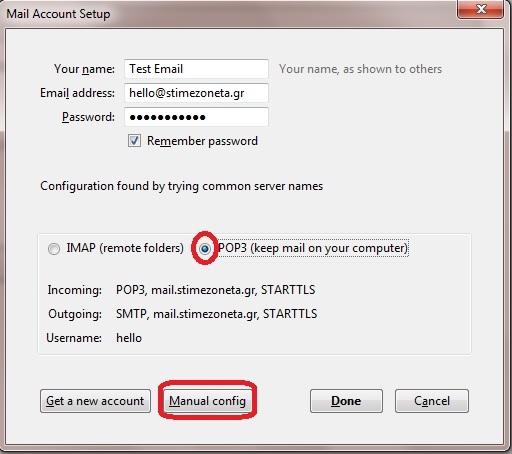 Choose POP3 and then click on "Manual config"
- Outgoing: mail.yourdomain.gr. Port: 587 and activate TLS or, alternatively, choose the 425 port and activate SSL. Click on "Re-test” and in the next dialogue box that will appear, you click "OK” and you’re all set!